Why is it important to study, consider, and learn about oppression (gender, age, race, etc.)? How does it build or contribute to our definition of leadership? What does she mean by “genius”? What does this excerpt suggest about intelligence and creativity? Why has there been no woman Shakespeare? How does the video help you define leadership? What are the greater implications for leadership that we can take away? How do these TED talks refine our own definition of leadership? Interested in learning more about "Lean In," the movement that began with Sheryl Sandberg's 2010 Ted Talk? Visit www.leanin.org. Why might a writer not want to use his or her real name? 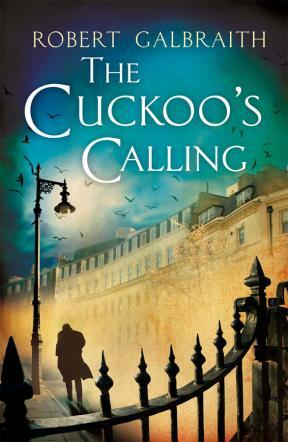 On July 13, 2013, The Huffington Post ran an article exposing JK Rowling, author of the famous Harry Potter series, as the author of this new crime novel. According to the article, the sales of the crime novel went up 150,000% once people realized that Galbraith was actually Rowling, a statistic that speaks to her popularity and extraordinary talent and success. 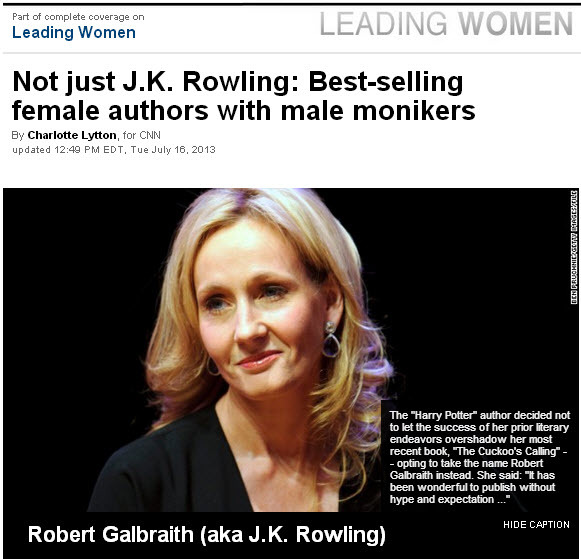 Read the article ("JK Rowling Pseudonym: Robert Galbraith's 'The Cuckoo's Calling' Is Actually By Harry Potter Author"). Why did she choose the pseudonym, Robert Galbraith? Why did she originally publish the Harry Potter series under the initials JK, rather than her first name, Joanne? Read the articles below to find out about female writers, past and present, who have adopted male pen-names. Consider why they may have done so.